Inspired by a blog post I recently read that reminded me I should be listening to jazz music (an activity I practice, but of whose import I need sometimes to be reminded), and sitting at the Civic Center Library anyway, I wandered over to the CD section (nowhere near as well-stocked or organized as the Highlands Ranch Library in CO) and began to peruse, looking for Lester Young, Gerry Mulligan, Duke Ellington, Coleman Hawkins: my usuals. Finding none, (although I did get the excellent Keith Jarrett/Charlie Haden record "Jasmine,") I indulged in my usual, and usually-reliable assessor-ship of books by their covers. 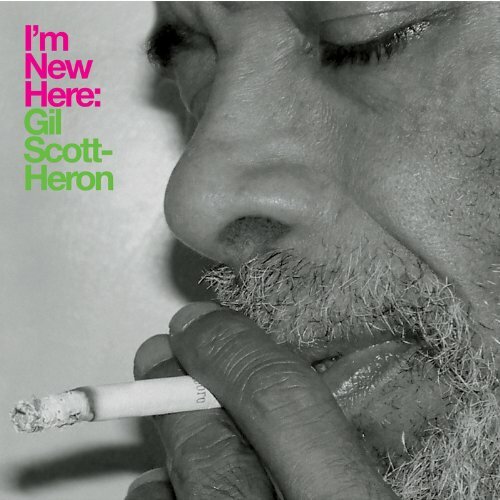 And was led therefrom to a record by Gil Scott-Heron called "I'm New Here" (XL Recordings, 2010). 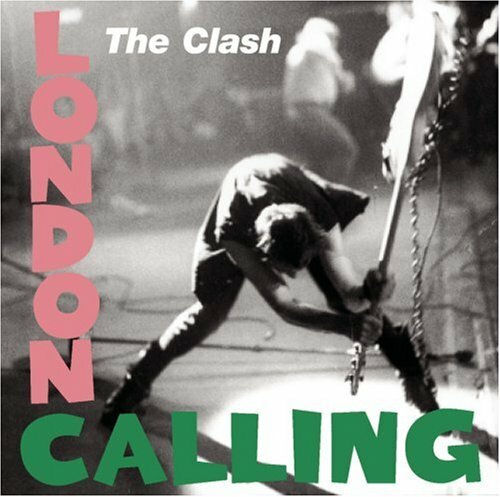 I liked its font, mainly, and the photographic composition, and how the colors mimic those of the epic Clash record "London Calling." "I'm New Here" is not much of a production. It experiments with samples, spoken word, and light instrumentation, but is not really experimental, or moving or smart. Nothing that happens on this record isn't better done by Sam Prekop on the Sea and Cake records, or Dan Deacon, or Bill Callahan, all of whom I recommend broadly. There is a proper procedure for taking advantage of any investment. Music, for example. Buying a CD is an investment. LISTEN TO IT FOR THE FIRST TIME UNDER OPTIMUM CONDITIONS. Not in your car or on a portable player through a headset. Take it home. Get rid of all distractions, (even her or him). Turn off your cell phone. Turn off everything that rings or beeps or rattle or whistles. Make yourself comfortable. Play your CD. Listen all the way through. Think about what you got. Think about who would appreciate this investment. Decide if there is someone else to share this with. Turn it on again. Enjoy yourself. I appreciate everything the artist has to say here. That his work deserves some respect. That respect involves giving it space (as well as not stealing it). I like how concerned he is with my comfort. How he insists I listen all the way through. When was the last time I did that? He suggests that appreciating music is a communal endeavor (it used to be for me, and isn't any longer) without sounding like he's marketing. Mind you, I didn't do any of these things. I listened to it in my car, amid traffic, actually, but in my current domestic arrangement, that's the most peaceful time I have. I also fail to see what is lost by using headphones. Most people don't possess hi-fi equipment sophisticated enough to outplay their iDevices anyway. And wouldn't using headphones add to the distraction-free listening experience he wants us to cultivate at first anyway? Still, though he created all that space and attention only to fill it with mediocre work, Gil is my new hero (having just supplanted John Roderick, who has done nothing to fall from my graces, and who is consistently smart about art-making) for demanding it in the first place.